Happy Birthd-EH Canada! The big party is this weekend and you could easily whip up one of these pillows before the big day! The Croch-Eh! Throw Pillow pattern is free from Yarnspirations and is available through their Canada 150 Lookbook! The Croch-Eh! Throw Pillow pattern uses a chart to make it easy to follow and uses tapestry crochet techniques so you can carry your non-working yarn along the top and backs of your stitches; No need to use yarn bobbins! 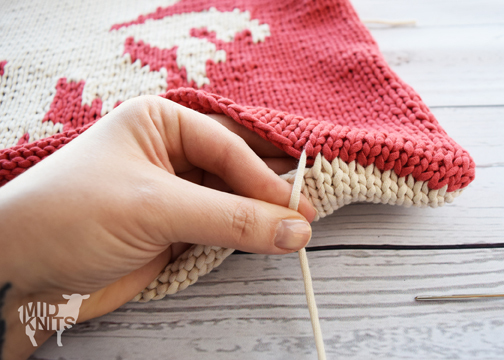 To change colours in tapestry crochet simply finish your last stitch of your first colour to your last pull-through, wrap with the colour you are switching to, and pull your final pull-through for the stitch. This will leave you with your new colour on your hook, ready to start stitching. As I worked this pattern I made sure to keep the yarn I was carrying to the wrong-side (or back-side) of the work. I also made sure not to carry the red yarn across the entire pillow, keeping it only in the area where the EH! is located. 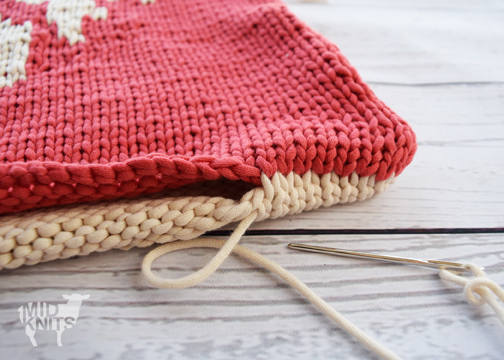 You can easily drop the red yarn to the wrong-side of your work once you reach the edge of the EH!, and pick it back up once you crochet your way back to it on the next row. This ensures that you get a crisp and clean finish on the front of your pillow. The final step for this pillow is to seam up three sides, stuff with a pillow form, and seam up the final side! I really love this pillow (and I don't think I am the only one!) 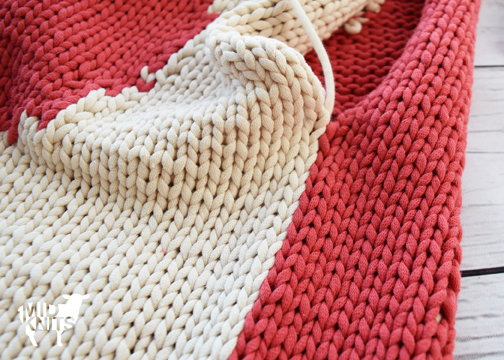 If you are looking for a more in-depth tutorial, my friends over at The Crochet Crowd have recorded an amazing video tutorial for this pattern that walks you through the entire process from start to finish! 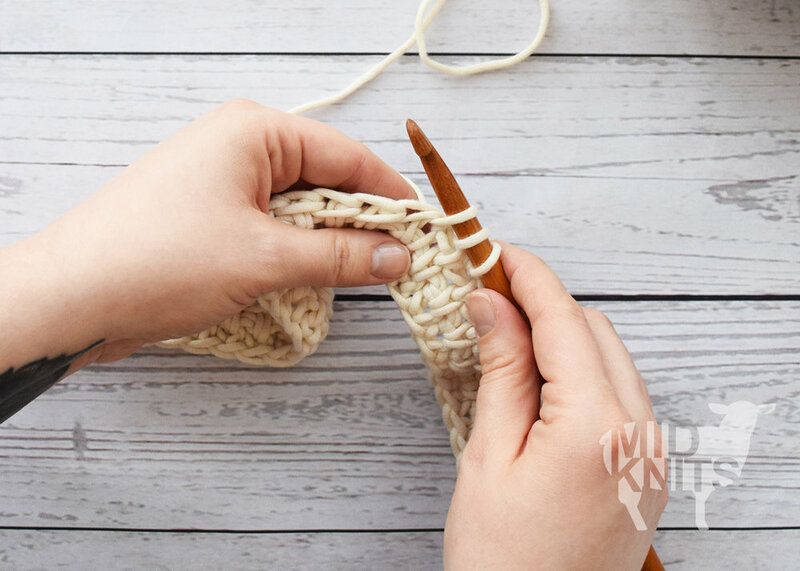 From reading the chart, to working the split half double crochet stitch, tapestry crochet techniques and how to properly change colours, Mikey has everything covered! Check out the video tutorial here! Get the free Croch-EH! Throw Pillow pattern from the Yarnspirations Canada 150 Lookbook! 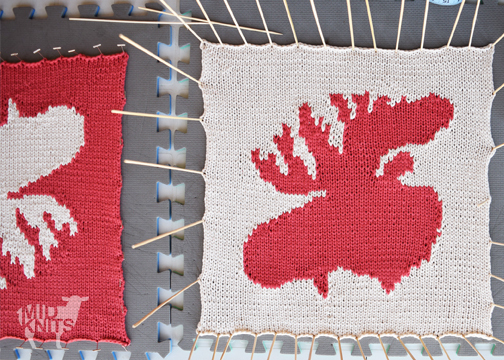 It's Canada's 150th Birth-year and what better way to celebrate than to show off our Canadian pride with our favourite yarn-y hobbies; Knitting and Crochet! If you haven't had a chance to check out Yarnspirations Coast To Coast - Canada 150 Lookbook yet, make sure you do. 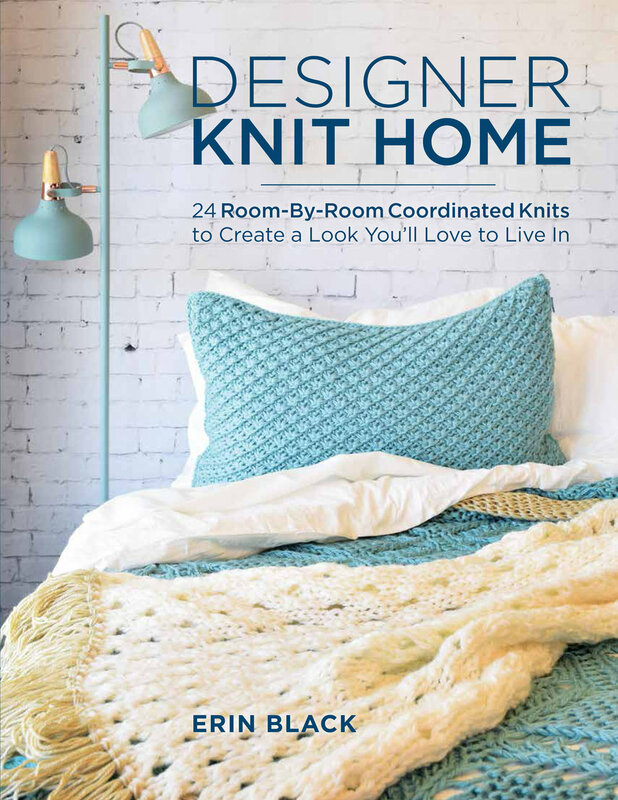 It offers an array of free knit and crochet patterns that are all Canadian-centric in their design and super cute! I was lucky enough to be asked to design some pieces for the collection and look forward to showing you some behind the scenes photos for some of the patterns soon! 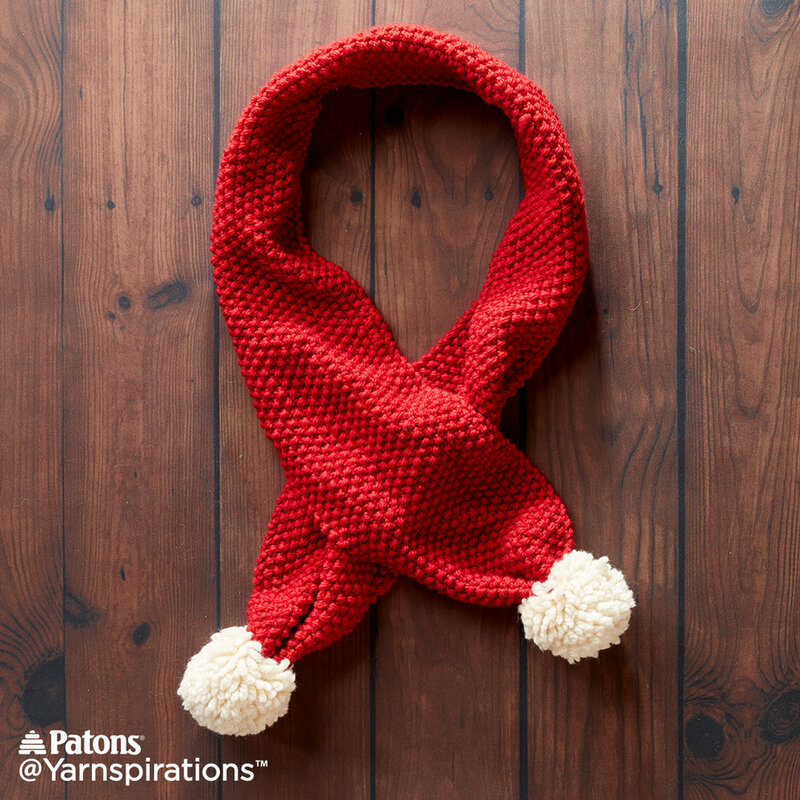 The patterns are all available on the Yarnspirations.com website for free! Take a look at these other amazing projects that are also available through the Coast To Coast - Canada 150 Lookbook. I will definitely have to make some of these projects for myself!